What’s this “MyAnalytics” thing in Office 365? If you’re an Office 365 user, you may have recently seen a new app option in your dashboard: MyAnalytics. This app shows you how you’re spending your work time: everything from how much time you’re spending on email to who you collaborate with the most to your meetings habits). Working in an office can sometimes feel like a minefield of productivity killers. Emails constantly popping up, co-workers swinging by to chat, meeting where not enough gets accomplished can all be a drain on your productivity. The cornerstones of Office 365 are familiar to most of us – Outlook, Word, Powerpoint, etc… but what about those other icons in your portal screen? 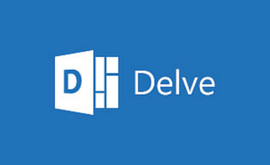 Let’s explore two of those less familiar programs – Delve and Sway – and how they’re useful.